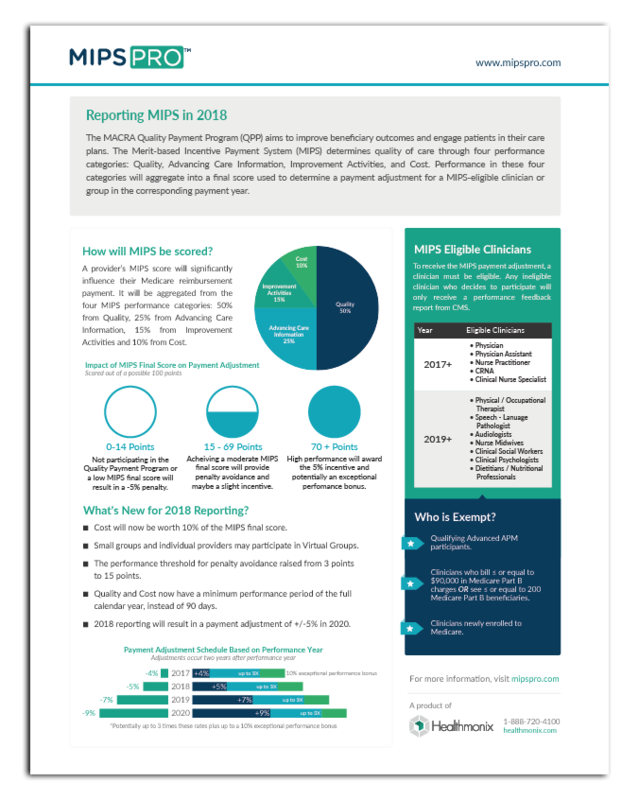 The Overview of MIPS Reporting fact sheet condenses the most important information to know when you are starting to formulate your yearly MIPS plan. This sheet can act as a quick-reference guide for performance category weights, the payment adjustment scheduled, and eligibility requirements. The Healthmonix Advisor blog is your connection to the pulse of the Healthcare Quality Improvement industry. We take the latest MIPS news and proposed rules and interpret them into actionable articles. Join the thousands of doctors who turn to Healthmonix first by subscribing to our free weekly industry updates! Our purpose is to improve the quality of today’s healthcare through learner-centric, effective technology. We believe that technology should be rewarding, not frustrating, and we’re committed to creating an outstanding customer experience for healthcare providers, administrators, and patients.